We are a world leader in low and medium voltage switchboard manufacturing for safe and intelligent power distribution, and automated control. Since its establishment in 1994, MCA have become a market leader in its industry. Specializing in the fabrication of Low Voltage Motor Control Centers, Power Distribution Boards, Variable Speed Drive Enclosures, Automation, Mining and Specialized applications. MCA is the recipient of various industry awards. 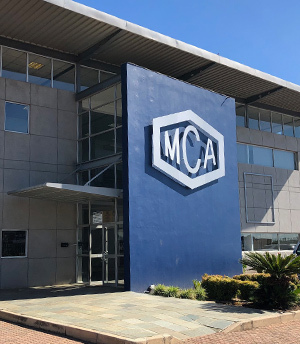 MCA will continue to optimize its operations as one of the largest Independent Switch Board Manufacturers in South Africa, in order to concentrate even more on growth markets. As a proud member of ESASA since 2009, MCA regularly contributes to the local technical and industry committee regarding compliance issues and specifications, and to conduct itself as a leading supplier to all industries seeking professionalism, quality products and workmanship. ISO 9001 – MCA is an ISO 9001 company, which ensures that the highest levels of quality and service are maintained throughout the production and life-cycle of its products. SANS/IEC 61439/2 – MCA complies with the latest international accreditation standards (IEC 61439 1,2) offering fully type tested assemblies. SANS/IEC 61641 TR 2 enclosed low voltage switchgear and controlgear assemblies. Guide for testing under conditions of arcing due to internal fault. IEC 62271-200 AC metal-enclosed switchgear and controlgear for rated voltages above 1 kV and up to and including 52 kV. International partnerships – our partnership and manufacturing agreements with world leaders (Siemens, and INVT) enhances our leadership in technology. Service excellence – providing our extensive customer base with world class backup and immediate response. Our people – who provide the highest level of technical expertise, continuous training and upliftment, utilising the latest design techniques, software, manufacturing processes and quality control systems, to ensure our products exceed customer expectations. 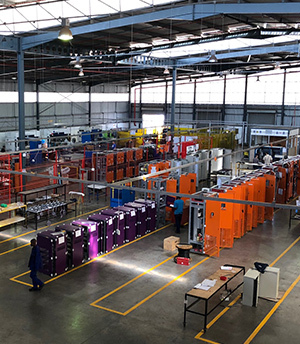 MCA has recent relocated to a new state of the art Manufacturing facility, with 8000sq.m under roof, allowing us to manufacture larger volumes of quality MV, LV and Automation equipment built to the highest quality SANS / IEC Standards. MCA is Conveniently located just 14km’s away from OR Tambo international Airport, making project related travel easy and convenient.